The reporting tools shown in green provide free and/or open source versions. The Windward Solution is ideal for commercial software (OEM), system integrator and enterprise developers who need to add Reporting and DocGen functionality to desktop, online, SaaS or mobile products. The .NET or Java report engines connect to virtually any data source and can be quickly integrated in 14 lines of code, meaning faster time to market. Windward enables design without restrictions through AutoTag, the Microsoft Office-based template design tool. Any user can create and rapidly revise templates, freeing up dev resources. Navicat report builder contains three workspaces – data, design and preview. 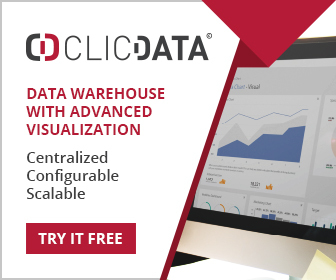 The data workspace supports the selection and manipulation of data and two wizards simplify the process. The design workspace is where the report layout is created and preview shows how the report will look when printed. Most databases are supported. DBxtra provides ad-hoc reporting software with report designer, dashboard designer, free report viewer, report web services (secure, centralized repository for web based access to reports), schedule server for automating reporting tasks. Eclipse BIRT is a very flexible and widely used reporting environment, but you will need to buy the commercial product ActuateOne to get bells and whistles (Dashboards, ad-hoc reporting etc). i-net designer is a free graphical report designer which runs on Java. i-net Clear Reports server generates reports in a Java viewer applet. i-net JDBC drivers are available as a separate product. JReport from Jinfonet supports dashboards, reporting, mobile reports and embedding reports within applications. NextReports provides three, free open source utilities that support report creation using a variety of database platforms. NextReports Designer is an application to design in-grid reports, using connections to most popular databases. NextReports Engine is a lightweight (330 k) Java platform development library which can be used to run NextReports inside applications. NextReports Server supports the scheduling of NextReports and Jasper reports and to automatically deliver reports. Palo is an open source business intelligence suite focused around OLAP and Excel and web interfaces. The Palo OLAP Server is at the heart of the offering and provides multi-user, high performance access to data. Stonefield Query SDK allows database reporting solutions to be built, empowering end-users to create their own queries and reports without IT support. Stimulsoft Reports Server is a complete Business Intelligence, client-server solution that provides reporting and analytics. The front end provides facility to visualize data. The back end provides data processing and storing. Stimulsoft Reports Server can work as a standalone report server as well as an embeddable solution. The software provides all features appropriate for all reporting servers – creating and editing reports, storing them, scheduling and delivering them to the client. Synaptris provides solutions for interactive reporting (IntelliVIEW Standard Reports), user-driven dashboards (IntelliVIEW Dashboard Reports) and data analytics (IntelliVIEW Analysis Reports). IBM Cognos is a sprawling, heavy duty BI, analytics and reporting environment that is mainly of interest to larger organizations. Jaspersoft supports data visualization, dashboards, ad-hoc reporting and analytics in a variety of editions to suit business size and needs. Logi Analytics provides reporting, BI, mobile, dashboards, embedded applications, data discovery and visualization in a web browser environment. MicroStrategy provides BI and reporting solutions for organizations of all sizes and even offers some completely free versions for smaller organizations. Pentaho provides a broad suite of business intelligence and analytics tools including dashboards, reporting, data visualization, big data support, data integration, mobile BI and data mining. QlikView provides a rich data visualization, reporting and discovery platform, with clever technology to make sure you get to the data that is relevant. SpagoBI provides a broad suite of business intelligence tools based on open source components. These include reporting, OLAP support, charting, data mining, dashboards and consoles, mobile support and many other functions essential to broad BI implementations. Tableau majors on data visualization with a large number of charts and graphs. Desktop and server (for web interface) versions available, and a free version for creating simple graphics. Tibco Spotfire is a platform for enterprise analytics, reporting, data discovery and visualization, and BI. Distinguishes itself by the level of support for advanced analytics (data mining, statistics etc). Yellowfin supports dashboards, data discovery, data visualization, mobile BI, collaborative BI and mapping.